Hold My Hand Mummy | Ms Moem | Poems. Life. Etc. In the big world one day. And then let me learn. I’ll know just where to turn. On a kind word from you. And I won’t feel so bad. That you raised me to be. 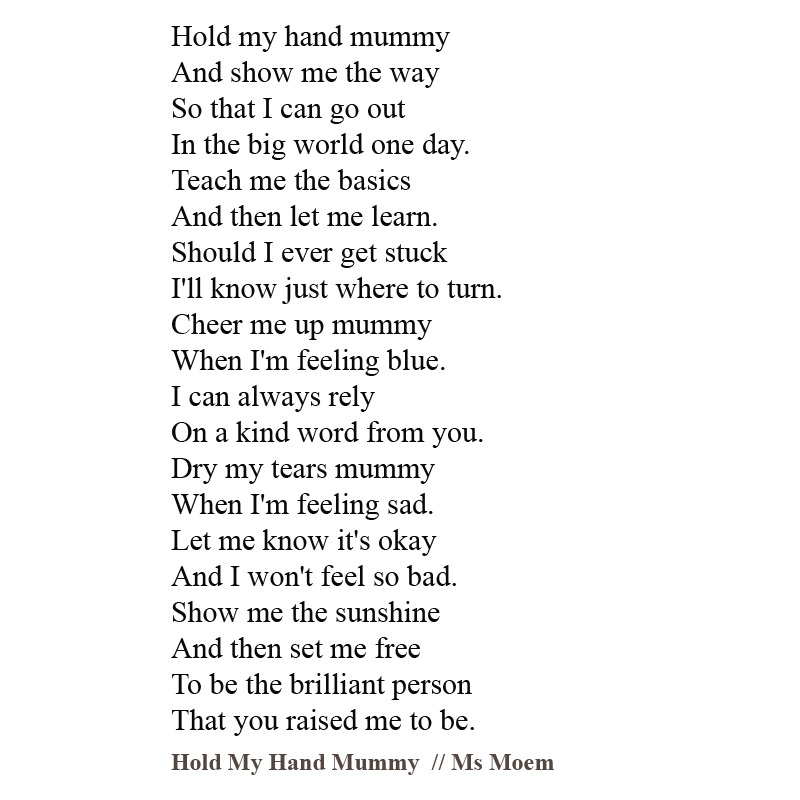 © Hold My Hand Mummy is a poem written by Ms Moem. Pingback: Hold My Hand, My Baby | Ms Moem | Poems. Life. Etc.